Brian Netto‘s Indie horror Delivery sounds very promising from the synopsis. The horror film will make it’s world premiere at the Los Angeles Film Fest this upcoming June 18, 2013. I am keeping my fingers crossed that Brian can deliver a great horror movie in Delivery. 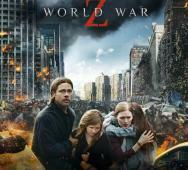 Brad Pitt leads the cast of Mireille Enos, Daniella Kertesz, James Badge Dale, Matthew Fox, and David Morse in World War Z. I am really torn on this one and I guess we just have to watch it to see how this zombie movie rates. The source material is really good and the budget is really high let alone that the film underwent a re-shoot to ensure quality. 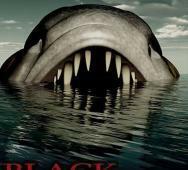 Brandon Slagle is starring and directing Black Lagoon which is not a Creature from the Black Lagoon remake. Horror comedy “Chasity Bites” combines vintage horror with retro 70’s/80’s love. I saw the trailer and this horror film looks okay. Check out the official one sheet poster and the trailer for yourself. 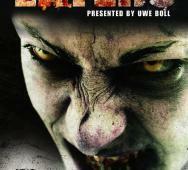 Uwe Boll Eaters has a killer poster. This zombie movie will hit American shores this upcoming March 5, 2013. 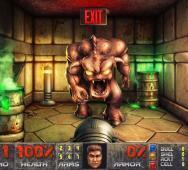 MUST SEE Doom HD - Photoshop Video is Amazing! Doom 3 got the remastered BFG Edition upgrade last year but one photoshop master decided to take a popular moment in the original Doom and total remaster it in amazing HD hi res. This is a must see for everyone! Based on true events taken place in 1991, The Appearing looks interesting. The priest conducted his very first demon exorcism; but it proves to be his last. Spotlight Pictures brings us The Appearing and it is now in post production. The Appearing is directed by Daric Gates and stars Dean Cain, Will Wallace, Don Swayze, and Quinton Aaron. 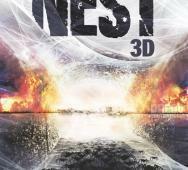 Director Kimble Rendall (Bait 3D) is a master of nature running rampant. Check out the sales art and synopsis for yourself. 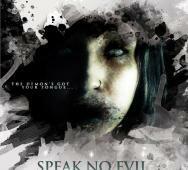 Speak No Evil is about a single mother who fights hard to keep her daughter from demonically possessed children. Did I mention that the town is also a little crazy? The poster looks good and weird which is always a good mix. 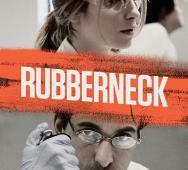 Alex Karpovsky’s Rubberneck will be available for VOD and a limited theater release. Teddy Blanks designed this poster art for the Tribeca Film Festival. 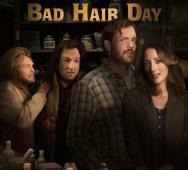 VOD starts February 19, 2013 and the theater release will start February 22, 2013. 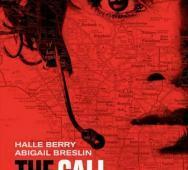 The Culling is story of college friends who encounter dark forces at a remote farmhouse. Written and directed by Rustam Branaman. Silver Lining Media Group financed the film in conjunction with Gold Star Films and Dro Entertainment. Guillermo del Toro‘s is one of my favorite directors and I can’t wait to see Pacific Rim. Guillermo pays careful attention to scale and details. 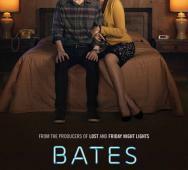 Check out the new photos for a little more into the horror sci-fi movie. 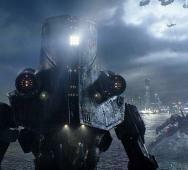 Pacific Rim will be in theaters this upcoming July 12, 2013. 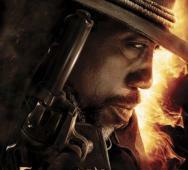 Gallowwalker poster art featuring Wesley Snipes shows that he is still the man. I loved his Blade movies even though they trailed off to be crap in the end. Wesley Snipes played the role great. Let’s see how Wesley makes his comeback. Vin Diesel has dropped another movie still of the upcoming Riddick movie. In this photo, Riddick is knocked down. You don’t see this too often. I know we will be seeing a lot more before Riddick is released this upcoming September 6. Bud the Eisbiber races to the shop to deliver the fantastic results for his “friend.” Bud looks hysterically funny and the web series looks like a success. One more episode to go so let’s see what the big finale will be. Mondo always has something cool in the works. 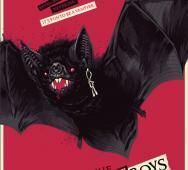 The latest is two posters of The Lost Boys. Phantom City Creative is responsible for the design. I am a huge fan of the original movie and it is a real classic horror movie for me. Gareth Evans returns as the director for the sequel to The Raid. 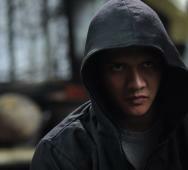 The Raid: Redemption, is also known as Berandal. Check out the official movie stills below!